Woah! – that’s a title – but it’s worth it, particularly if you follow a gluten-free diet. 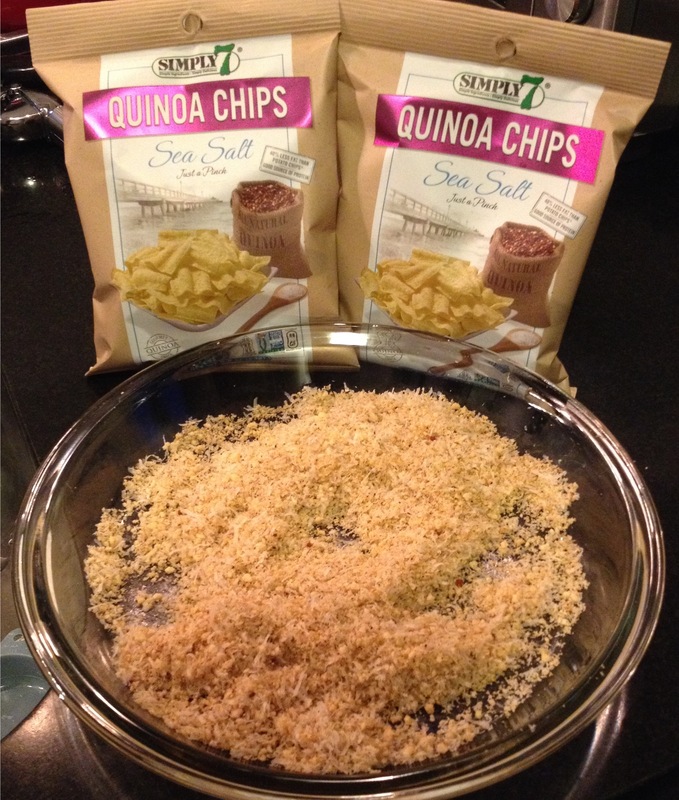 The Simply7 Sea Salt Quinoa Chips in the MSI summer box are, of course, delicious on their own. They are super light, tasty and not bad for you, as so many other snack products are. Serve them with the Zukali Cilantro Pineapple Salsa, and pour up your favorite cocktail or glass of wine (I think a Sauvignon Blanc with this) and you are set! 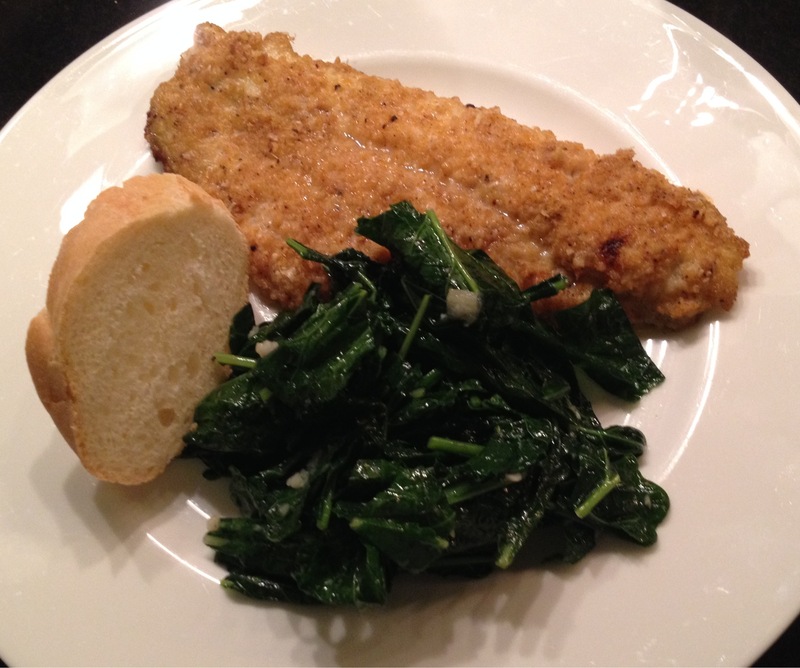 But to really make use of the ancient grain in these chips as an ingredient, you have to try this Parmesan and Simply7 Quinoa Chip Crusted Catfish recipe. To be honest, this is really healthy because it’s baked. But to be honest, it doesn’t really get crusty and crisp, but it is full of flavor. Now I know, with the Italians, cheese on fish is a HUGE no no. But try this, you won’t be sorry. You can buy these chips at most Whole Foods and natural food stores. Preheat the oven to 425 degrees. Lightly oil a 13” x 9” baking pan or rimmed roasting sheet pan with olive oil and set aside. In a shallow bowl or pie plate, combine the Parmesan, finely crushed quinoa chips, paprika, and pepper. In a separate bowl, beat the egg and buttermilk or milk together. Wash and dry the catfish fillets. Dip them into the egg mixture and dredge in the Parmesan and crushed quinoa chip mixture. Place on the prepared pan and bake uncovered for 10 – 14 minutes or until the fish flakes easily with a fork. Serve immediately, with LOVE! Very nice, I love the unique coating of the fish! Thanks Angela!! It was unique and yummy! Yum! We don’t have fish nearly enough (husband hates it) so when I see recipes like this I just want to kick him out of the house at dinnertime and go fish crazy! Well maybe he would like this one, Pamela!?! I would love to try this… just crush some chips and coat the fish! Thanks! Add some cheese and a few spices and presto!! Yes!! John will love this when I surprise him this weekend! First time I see quinoa chips, great idea. And love the catfish recipe. Oh, I just love the look of that fish. Gorgeous and delish! 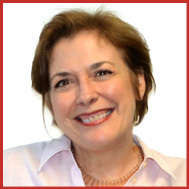 Thanks Lidia – it was delish! So not fair – we don’t get quinoa chips here. What a scrumity meal! 🙁 Well but you have such beauty on your island!! What a great way to prepare a summer supper…love it! Yes – cool and simple! This is such a lovely and easy recipe. Exactly – it’s totally easy! !